I am currently living in jumpers, purely because the weather is far from tropical. Nothing beats a cosy knit with 25 layers underneath to avoid freezing to death in the office, right? Jumpers are the kind of item that commonly make an appearance in my day-to-day outfits, so I'm always on the look out for affordable knitwear. 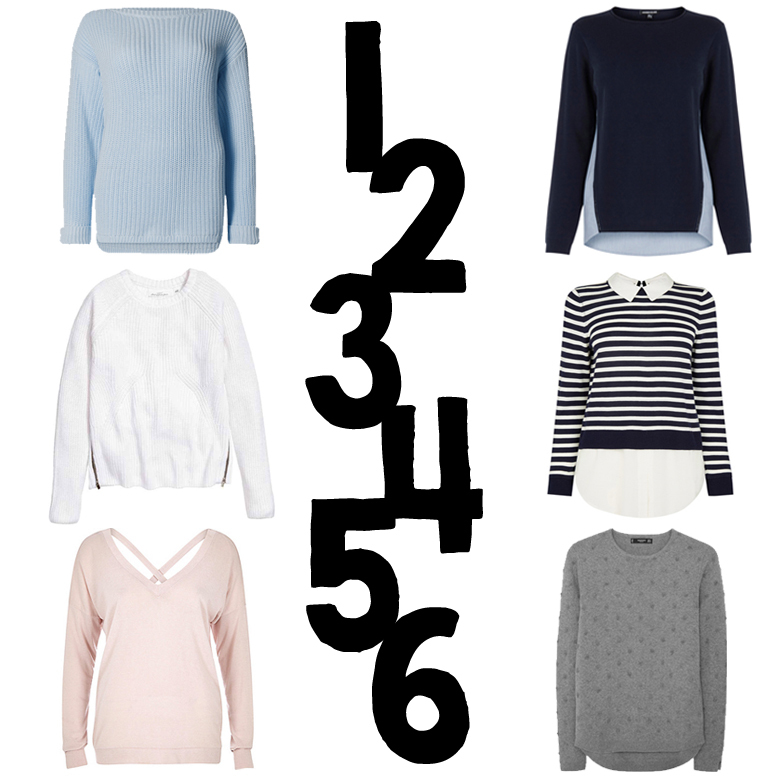 I always fall into the black, 'because it's easy' trap, so this week, I've done a bit of high street searching and chosen a variety of jumpers, which include some subtle colour that will take you through to spring.